Recently, nonlinear system identification has received increasingly more attention due to its promising applications in engineering fields. It has become a challenging task to truly apply this system due to many complex factors especially the nonlinear and dynamical properties. The objective of this paper is to design a nonlinear system identification method using an appropriate learning method. 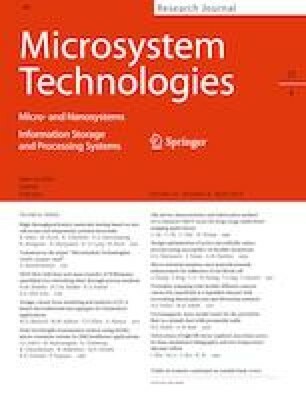 This paper proposes a biogeography-based optimization (BBO)-based multilayer perceptron (MLP) architecture for nonlinear system identification. The BBO algorithm with its habitats imitates the species migration between them. A good solution is featured by an island with a higher High Suitability Index (HSI), and a poor solution by an island with a lower HSI. Higher HSI solutions resist change more effectively than lower HSI solutions. By combining the two schemes, the proposed MLP architecture with BBO learning provides a promising scheme for nonlinear system identification. Three kinds of nonlinear system are adopted for experimental verification, including Mackey–Glass series, Henon system, and nonlinear plant system. Mean squared error (MSE) index is used to calculate the difference between the measured input and output of the systems. By employing the nonlinear cases, the proposed algorithm presents rapid convergence and excellent MSE in nonlinear system identification. The authors would like to thank the Ministry of Science and Technology of the Republic of China, Taiwan, for financially supporting this research under Contract No. MOST 107-2221-E-224-040-.